I am an inquisitive book collector, always looking to find anything and everything about a copy of a book I own, right down to who sold it or who formerly owned it. 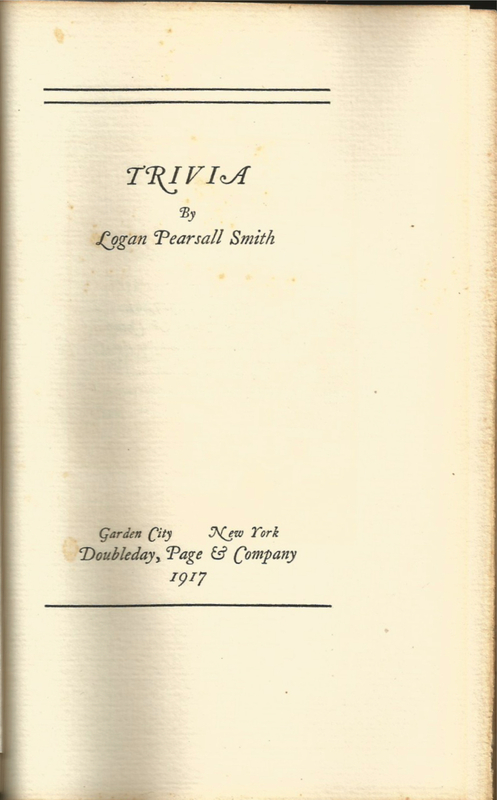 Take my copy of Trivia by Logan Pearsall Smith, No. 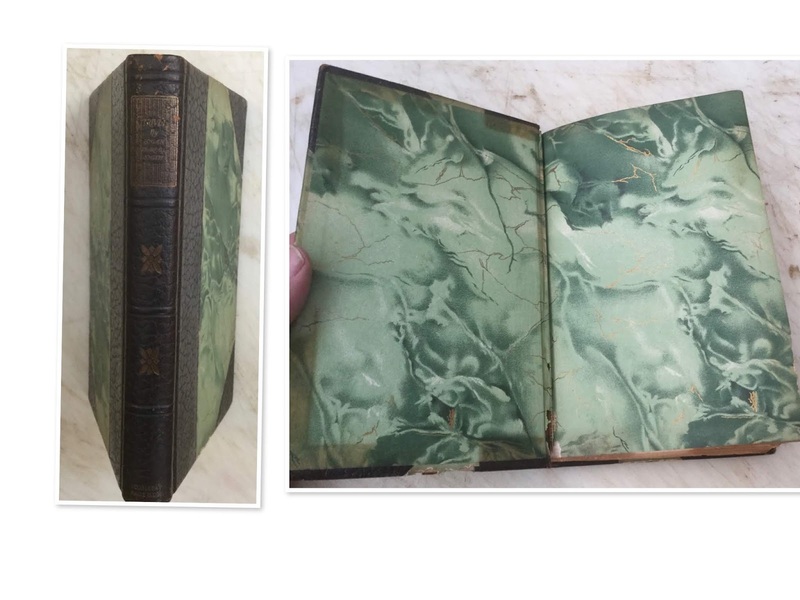 82 of 100 copies printed in a deluxe edition by Doubleday, Page & Company in 1917. No former owners signed their names in this book. But a bookseller in Poughkeepsie, New York branded the book with his blindstamp not once but twice. 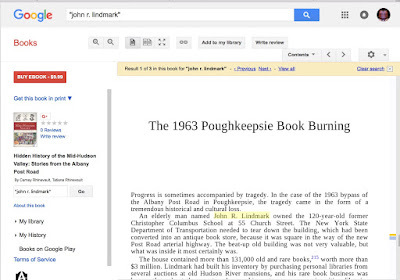 Researching further, I learned that John R. Lindmark was the name of the proprietor of the bookstore. And when I googled his name I came across a preview of a book which mentioned him and a book burning that took place in Poughkeepsie, New York in April 1963. 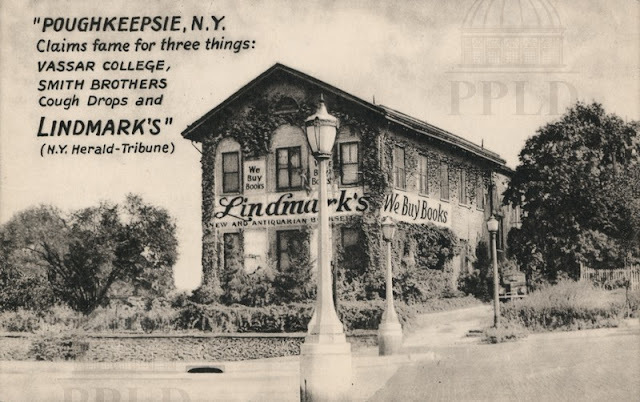 According to the article, John R. Lindmark's bookstore was in the path of a bypass for the Albany Post Road in Poughkeepsie that the New York Department of Transportation needed to tear down in order to build the bypass. Lindmark was offered $22,000 for the building in 1961, but he refused to move. He said it would take $200,000 to find a new location, build shelves, and move 131,000 books worth more than $3 million. Lindmark noted that the State Legislature had given Governor Rockefeller himself $175,000 "to cover the cost of a new building, moving, and replacement of book stacks." Two local colleges offered to store Lindmark's books, and the City Board of Education offered to store the books in its schools. Housewives and students even offered to transport the books. But Lindmark refused all help, demanding that the State needed to pay for the entire cost of his relocation. But the courts did not agree with him. 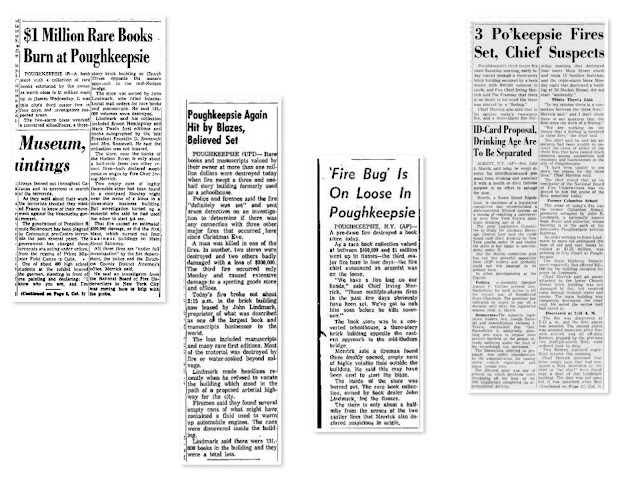 In April 1963, the State directed the Dutchess County Sheriff to evict Lindmark and his 131,000 books. The books were literally stacked on the sidewalk in front of the building. Soon people began to take what books they wanted, leaving the remainder of books on the sidewalk in disrepair. The TV and papers picked up the story––Pravda even carried the story in Russia with the headline, "Only in America." Then the rains came, and the city transported fifty tons of once rare books to the incinerator to be burned. 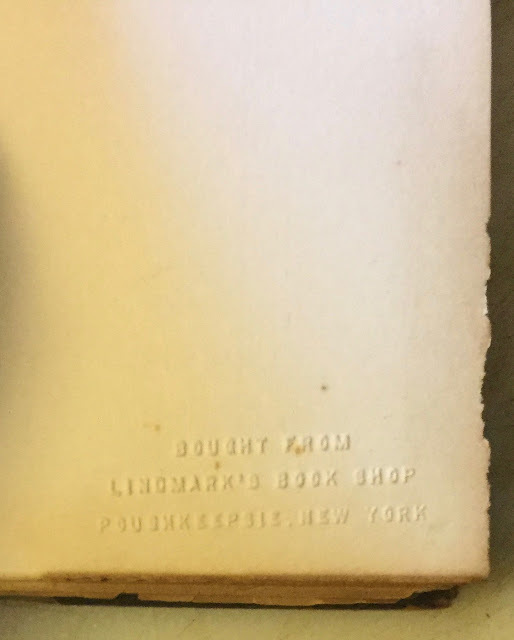 I ordered a copy of the book, Hidden History of the Mid-Hudson Valley: Stories from the Albany Post Road, just so I'd have a history of the fate of Lindmark's Book Shop. 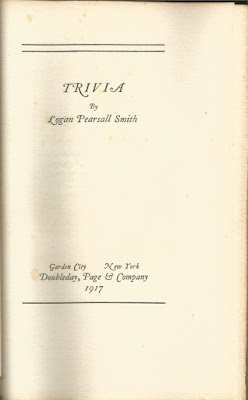 And I placed it next to my copy of Trivia that Lindmark sold years ago. But there is more to the story than what was detailed in the book! Way more! the article reported that the State paid Lindmark $16,500 for the property, and not the $22,000 that was originally reported. 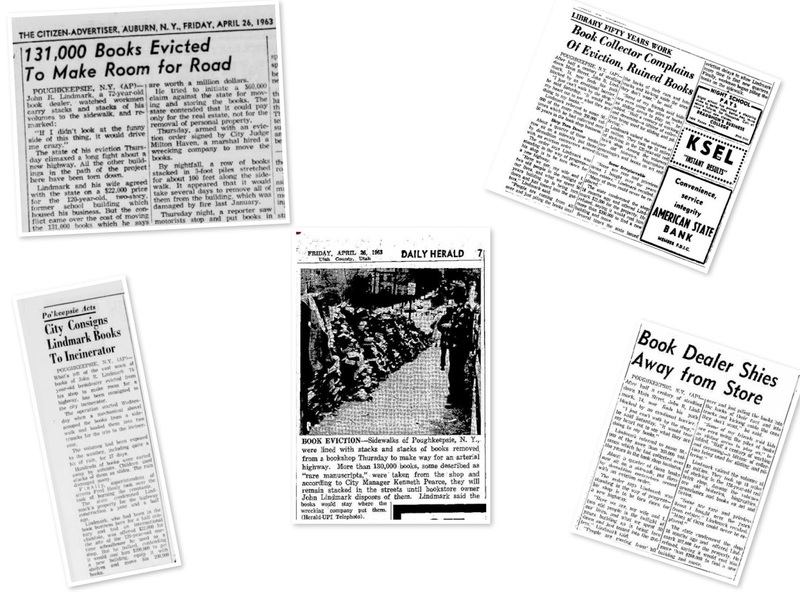 Something else happened to Lindmark's Book Shop in 1963. Something awful. On January 16, 1963, at 2 am in the morning, someone tried to burn down Lindmark's Book Shop! Two of the four articles mention Lindmark's upcoming eviction, but do not draw any conclusions as to whether the fire was related to Lindmark's refusal to move. The fire was the third fire in five days within a half-mile radius of the three-story bookstore. The cause of all three fires was suspicious in origin. And the fire chief warned that an arsonist was on the loose. The fire chief reported that the roof of Lindmark's Book Shop had caved in, and the main building was completely destroyed. An annex attached to the building, however, escaped the flames but suffered some water damage. 131,000 books worth close to $1 million went up in flames or were water logged beyond repair, including manuscripts and first editions of Ernest Hemingway and Mark Twain as well as books autographed by Franklin Delano Roosevelt. 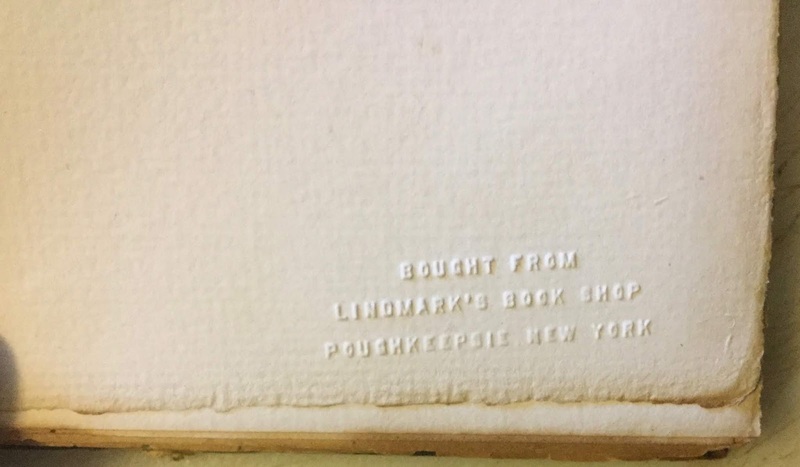 Even worse, Lindmark did not carry insurance for his books! No one knows for sure exactly how many books remained in the bookstore after the fire in January 1963. I do believe Lindmark had more than 131,000 books remaining after the fire. Some of them were taken by "looters" right off of the sidewalk in April 1963. And fifty tons of books––or what was left of them––were sent to the incinerator to be burned.